Get the employee recognition statistics you need to build your recognition program. Do employees feel recognized for a job well done? What kind of recognition is most preferred in the workplace? How does employee recognition impact employee engagement? 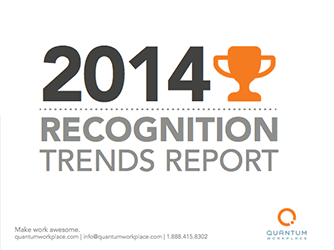 The Employee Recognition Trends Report is here to answer all your questions! 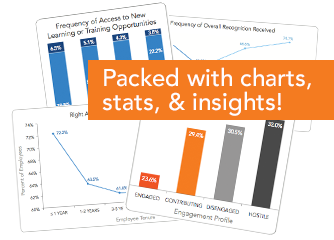 This comprehensive report analyzes feedback from nearly 400,000 employees at nearly 5,000 organizations. Grab your copy to read incredible statistics about employee recognition. Men vs. Women: Who receives the most recognition?